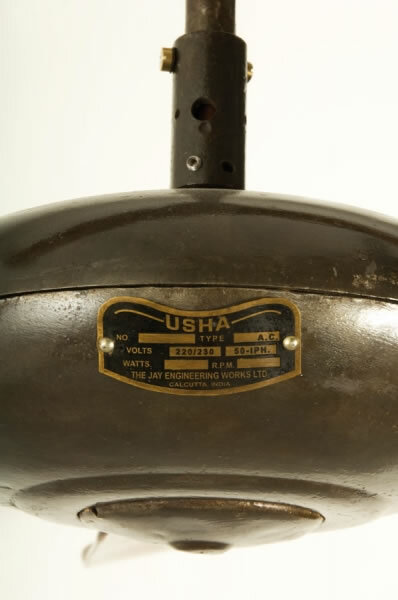 Based in Calcutta (now Kolkata), the Indian firm Jay Engineering Works marketed the USHA model around 1940’s. Defined by softer and rounder lines, at the time considered more modern, this model was very popular with the public, thus spreading all over the Indian subcontinent, part of the former British Eastern Colonies. Often used in the most exclusive hotels and restaurants, USHA was manufactured in various blade diameters, such as 90, 140 and 160 cm. (36″, 56″ and 60″). 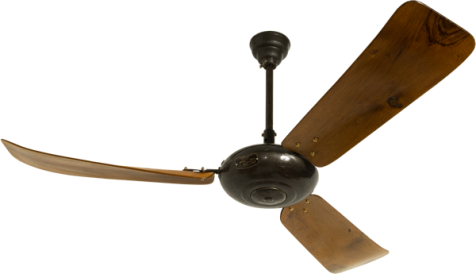 Our collection includes fans of these three blade diameters, coming from India, Pakistan, Burma , Bangladesh and Sri Lanka.